A few more wonderful acquisitions from my pilgrimage to Dawn Treader Books in Ann Arbor, MI from month or so ago. More Malzberg! And thankfully, one of the few really solid covers to grace his extensive oeuvre. I read Sargent’s novel Cloned Lives (1976) recently and was disappointed. 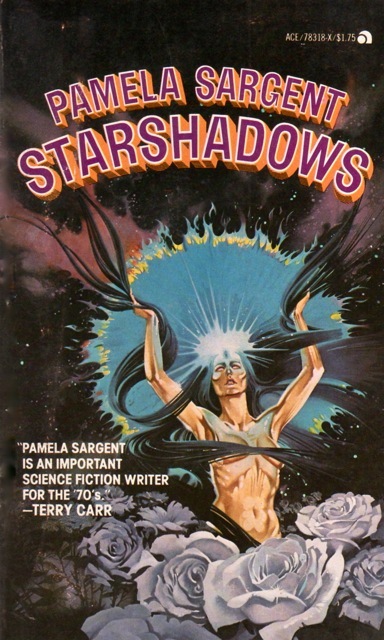 Hopefully her short story collection Starshadows (1977) is more my cup of tea. 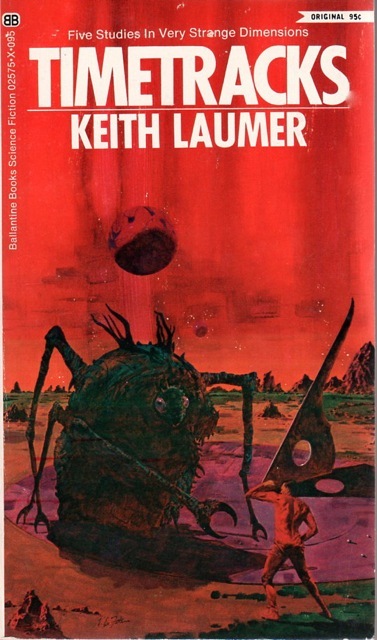 And a collection of short works on time travel by Keith Laumer…. Could not resist the early Di Fate cover which I have featured in art posts before. 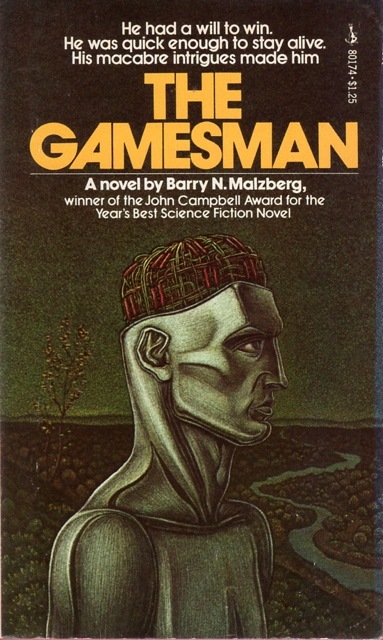 From the back cover: “THE GAMESMAN. A staggering vision of Earth in the not-so-distant future. In a controlled and mechanical world, the only reality is fear and killing boredom. The only escape from mind-blowing monotony is the Game, which predictable rules of stimulus and response. And if you pit yourself against the Games Master, you may lose our last vestige of sanity. Or your life! The Malzberg looks fun. I would try the Russell; I hope that dude doesn’t get lost in a system of 94 planets! I LOVE the Russell cover. Looks like early Powers but isn’t. It is always interesting to see that style of Vincent di Fate cover vs. those where he is featuring spaceships or other vehicles (which I like very much). It’s definitely early — I love the when he’s somewhat surreal (albeit this one is not). 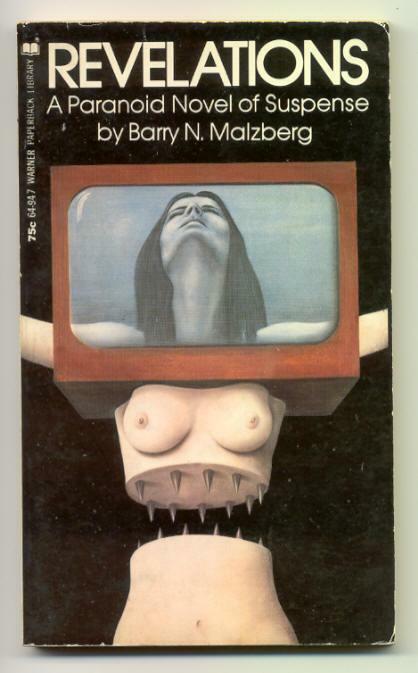 Great to see a fantastic Malzberg cover for once, all of mine are just plain bizarre! Wow, that’s a stunning cover. I’d love a copy of that in my collection. By the way, just started reading Strange Relations this evening, really enjoying it so far. Just finished the second story now, very inventive stuff. Thanks for giving me the urge to put this one to the top of my reading pile Joachim. I looked at the cover and I read the snippet – what the heck is this “Starshadows” thing! Well, good thing Terry tells us that Pam is important……. Pam? Pamela…. Not sure we need to refer her to some nickname….. But, I was not impressed with her novel Cloned Lives (1976). She is a very important editor though — her Women of Wonder series in the 70s is great. 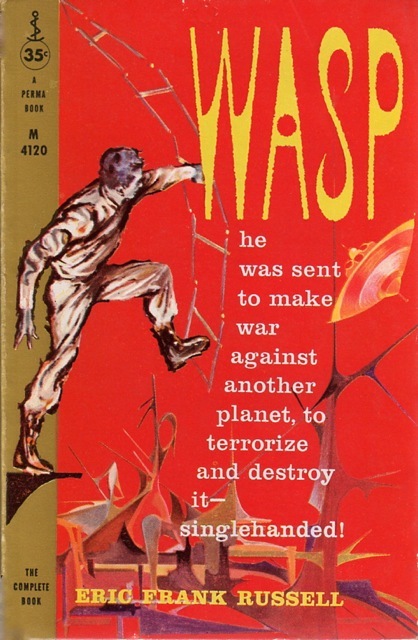 I enjoyed ‘Wasp’. Russell served in the RAF during WWII, and it seemed that he used his war experience in the book, giving it lots of seemingly realistic details. I look forward to it! The premise seems fantastically ridiculous. A suspension of disbelief helps. I read it as a memoir of his WWII days… but in space.